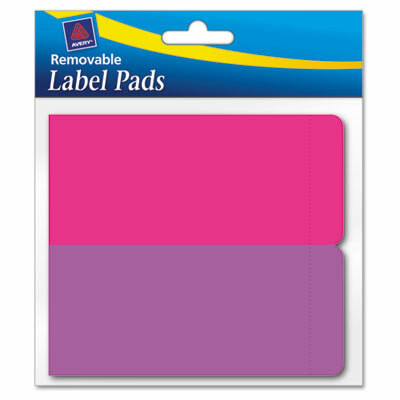 Linerless labels stacked into a convenient pad. Fully removable labels stick and remove easily. Simply peel, apply and write. Linerless labels stacked into a convenient pad. Fully removable labels that stick when you need them to and easily remove when you want them to. Simply peel the label, apply and write.